The internet has provided everyday people vast knowledge in countless areas. Search and seizures is an area many people read about, artists sing about and others concentrate their legal practice. The search of a motor vehicles interior, trunk compartment and exterior are all the subject of numerous court decisions. A law enforcement officer must have reasonable suspicion of a criminal activity prior to commencing any search of a motor vehicle. Reasonable suspicion is a belief based on objective and particularized facts that a suspect was or is involved in criminal activity. 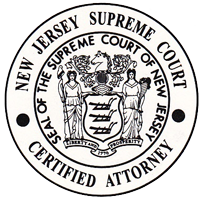 On June 10th, the New Jersey Supreme Court decided State v. Dunbar. This decision overturned state precedent requiring reasonable suspicion of contraband before police can deploy a canine sniff. 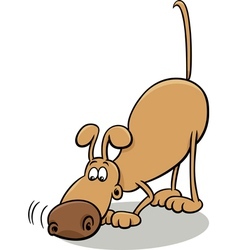 Suspicionless canine sniffs are now permitted in New Jersey, so long as they do not prolong an otherwise lawful seizure. Thus, the seizure (i.e. a traffic violation) may now include a canine sniff of the exterior of your vehicle so long as this does not result in the prolonging of the stop. For decades the New Jersey Supreme Court had consistently interpreted the State Constitution to provide greater search and seizure protections than the federal Fourth Amendment. Due to these greater protections and the U.S. Supreme Court’s dissent against suspicionless sniffs in Illinios v. Caballes, it was reasonable to expect at least one dissent in Dunbar. This case, Dunbar, overturned two Appellate Division cases requiring reasonable suspicion of contraband to justify a canine sniff, State v. Cancel and State v. Elders. In the wake of Dunbar, suspicionless canine sniffs need not be within the scope of any motor vehicle stop. The police do not need any evidence suggesting the presence of contraband before broadening the scope of the stop. Suspicionless canine sniffs are going to increase now that the NJ Supreme Court has abandoned the reasonable suspicion requirement. The position of our courts and attorney general is now that a canine sniff is not a search, police can conduct them on a whim, and citizens are required to acquiesce. The Dunbar decision will drastically affect how all police stops in the State of New Jersey are conducted. The attorneys at Gale & Laughlin are here to answer all of your questions relating to these municipal court matters. Contact us with any questions you may have.